With close to 400,000 copies of their books in print, the authors have proven that people want to bake their own bread, provided they can do it easily and quickly. They show readers how to use their groundbreaking techniques for fast breads to make pizzas, flatbreads and sweet and savory tarts from stored, no-knead dough. short_descriptionWith close to 400,000 copies of their books in print, the authors have proven that people want to bake their own bread, provided they can do it easily and quickly. They show readers how to use their groundbreaking techniques for fast breads to make pizzas, flatbreads and sweet and savory tarts from stored, no-knead dough. long_descriptionWith close to 400,000 copies of their books in print, the authors have proven that people want to bake their own bread, provided they can do it easily and quickly. 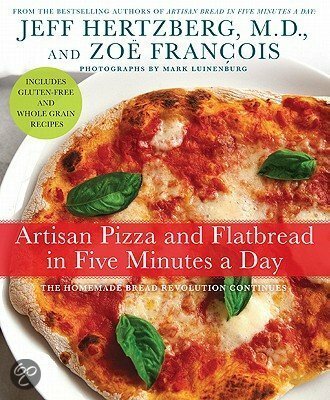 They show readers how to use their groundbreaking techniques for fast breads to make pizzas, flatbreads and sweet and savory tarts from stored, no-knead dough.